Olathe businessman Greg Orman on Wednesday joined the race to be Kansas governor as an independent candidate. In 2014 he challenged U.S. Sen. Pat Roberts, losing by a 10-point margin. 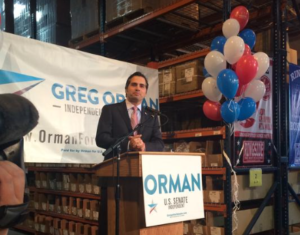 Orman has varied business interests. In 1996, he profited from the sale of a company he founded — Environmental Lighting Concepts — to Kansas City Power & Light. He now holds interests in a private equity firm and a partnership that owns a Lenexa-based boxing equipment manufacturer. Jim McLean is managing director of the Kansas News Service You can reach him on Twitter @jmcleanks.